Although he was only five feet, two inches tall, Theodore G. Bilbo, in life as in legend, was a towering figure who stalked across the pages of Mississippi history. Between 1907 and 1947 “the Man,” as he was called by friends and foes alike, occupied a prominent place in Mississippi politics. Born at Juniper Grove in Pearl River County on 13 October 1877, Bilbo entered public school at age fifteen and graduated from high school four years later. Following a short teaching career, he attended Peabody College and Vanderbilt Law School, though he did not graduate from either institution. After losing a 1903 bid for circuit clerk to a “one-armed Confederate veteran,” Bilbo went on to win election as a state senator (1908–12), lieutenant governor (1912–16), governor (1916–20, 1928–32), and US senator (1935–47). His long career was punctuated by other defeats as well—unsuccessful campaigns for US Congress in 1918 and 1932 and for governor in 1923. Governor Bilbo’s wife, Linda Gaddy Bedgood Bilbo, made several campaign speeches for him in 1915 and may have been the first woman to actively participate in a statewide political race. A combative individual, Bilbo made many enemies. He often insulted his political foes and responded to challenges with anger and bitterness. 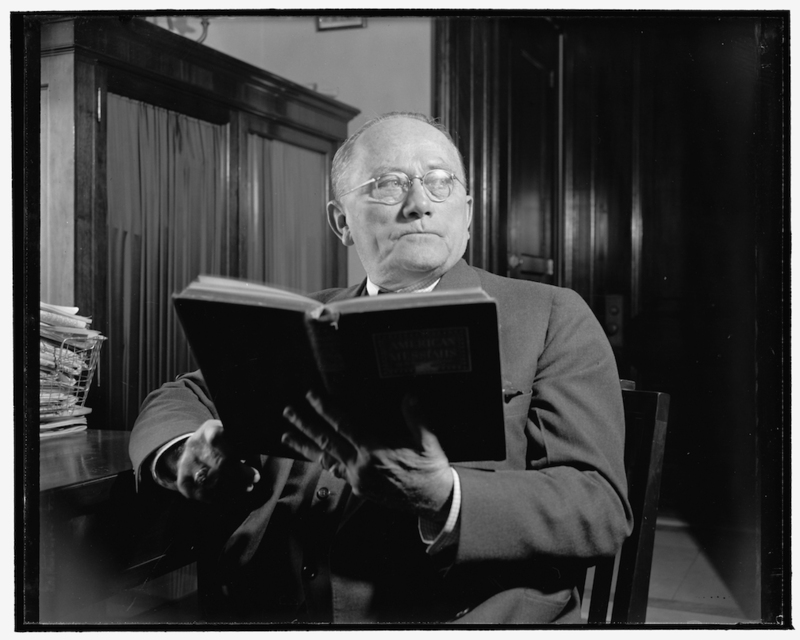 Bilbo faced scandals and controversies throughout his political career, including charges of bribery in 1910 and 1913 and of misappropriation of funds in the 1920s and 1940s. Bilbo described himself as the representative of hardworking ordinary people and denounced the influence of both traditional planter elites and newer corporate elites. He wore a red necktie in reference to charges that he and his supporters were rednecks. He was a strong proponent of maintaining racial segregation and other forms of privilege for white Mississippians. In Governor Bilbo’s second inaugural address, on 17 January 1928, he recommended moving the University of Mississippi from Oxford to Jackson and constructing a new, fifteen-million-dollar university campus. He also advocated a thorough reorganization of Mississippi’s other public institutions of higher learning, including the establishment of a commissioner of higher education. After those recommendations were defeated, Bilbo persuaded the college board to dismiss two college presidents and about fifty-three faculty members. (Critics have greatly exaggerated the number of presidents and faculty Bilbo dismissed.) Though Bilbo has been accused of attempting to punish his enemies and reward his friends, he was actually seeking to upgrade the state’s colleges. Nevertheless, several agencies withdrew accreditation from Mississippi’s institutions of higher learning for two years. Bilbo also advocated a wide range of other political and economic reforms intended to improve the quality of life for Mississippi’s poor white farmers and workers, who formed his base of support. Bilbo’s flamboyant and often racially inflammatory campaign rhetoric and his personal involvement in higher education earned him a reputation as a demagogue. After his second term as governor ended in 1932, Bilbo ran unsuccessfully for the US Congress. Two years later he was elected to the US Senate, winning reelection in 1940 and 1946. During his early years in the Senate Bilbo strongly supported the New Deal. However, he gained notoriety for his aggressive opposition to all civil rights legislation. In the 1930s he supported movements to encourage African Americans to move to Africa, and he introduced a bill to prohibit racial intermarriage in Washington, D.C. He opposed antilynching legislation and conducted long filibusters against the Fair Employment Practices Committee and efforts to repeal the poll tax. In 1947 Bilbo published his only book, Take Your Choice, Separation or Mongrelization, a rambling defense of racial segregation. After Bilbo’s 1946 reelection, a group of black World War II veterans challenged the validity of his election on the grounds that African Americans had not been allowed to vote. Before the Senate could rule on that challenge or on new corruption charges, Bilbo died at his mansion, Dream House, near Poplarville on 21 August 1947.